It was an interesting but disappointing spring here in New England. Some late season snowfall brought us up to average or better snowpacks in the mountains, but spring never really arrived and so the entire snowpack dwindled away over the course of a dry month of 55 degree temps. Rivers held at a teasing “almost runnable” level until the snow was gone, but we did manage to squeeze in a few days. 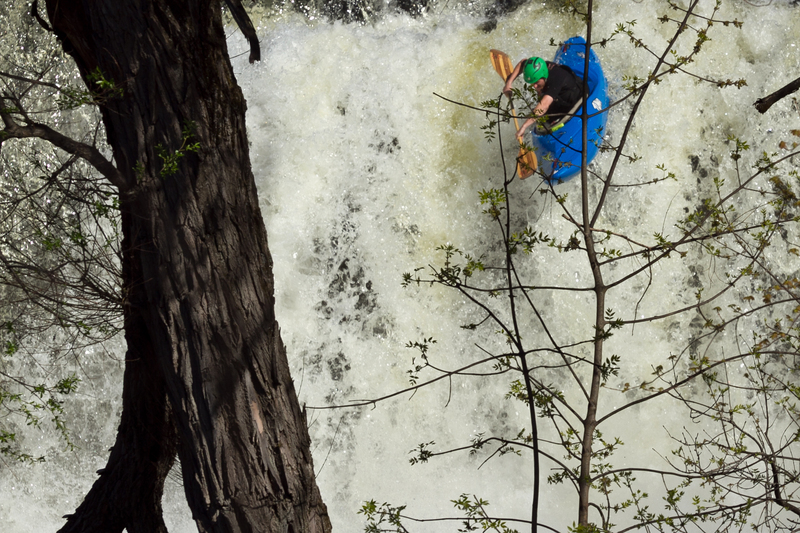 Boofing the local waterfall in Middlebury. Photo Daphnee Tuzlak. Daphnee on Otter Creek Falls. 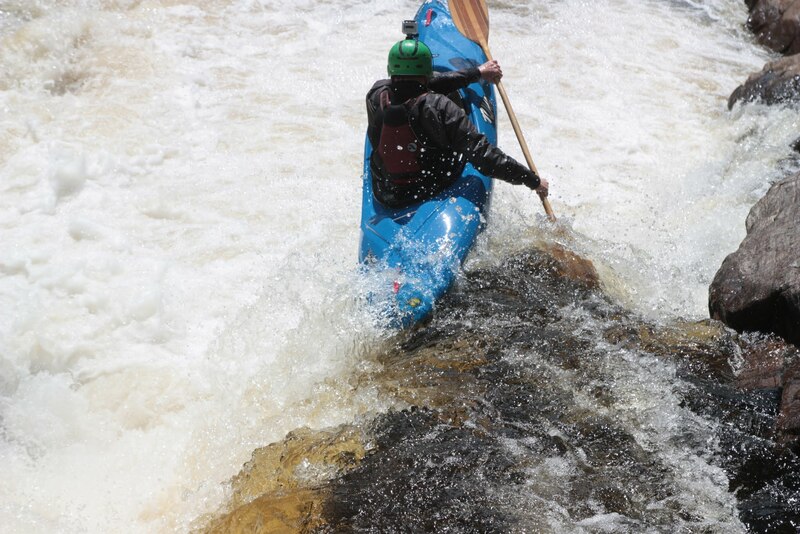 The spring started with a fun race on the Wells River (VT) put on by Dartmouth College’s Ledyard Canoe Club. This race is always a good time, especially since it includes a mass start with over 30 racers. I wound up taking second place overall in the Tuna. 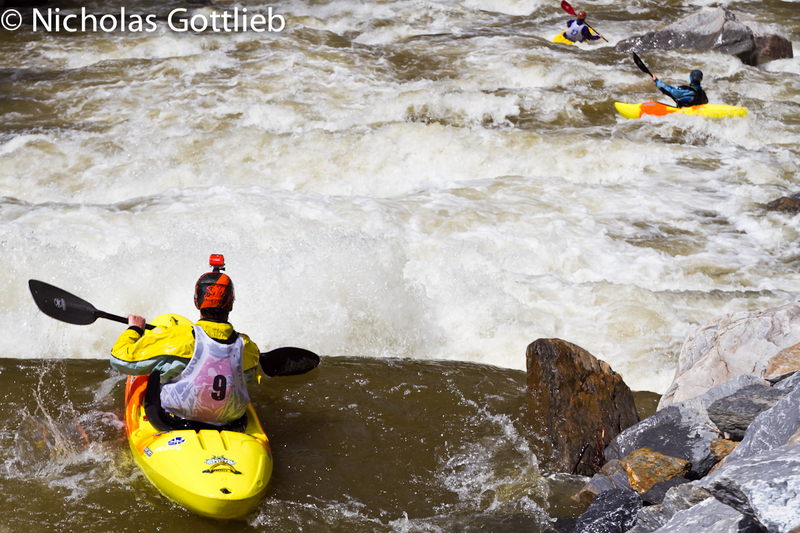 The main attraction in the Wells Race, a 10′ waterfall. Photo Patrick Rogers. 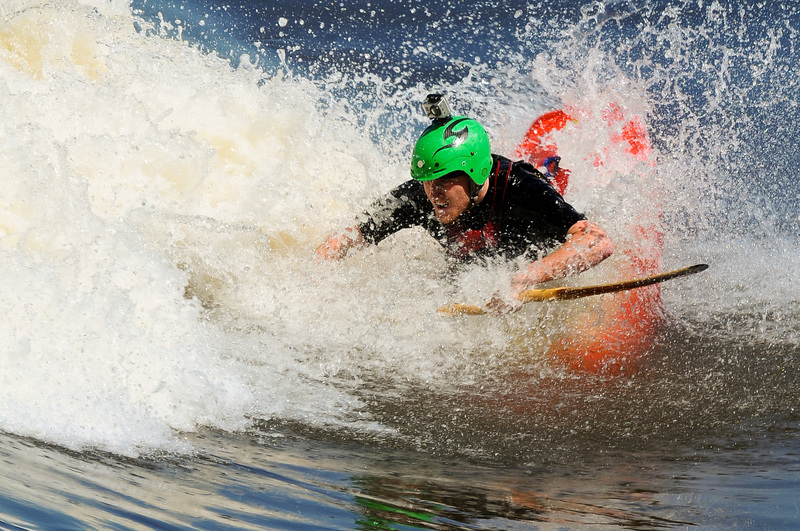 After that, we had a week to get some practice in on the New Haven river before the race there. Levels held at low but runnable all week and then spiked pretty high the day before the race yielding a much more exciting and fun race level than everyone expected. Fun times were had and I wound up in fourth, just a couple seconds off second and third; local legend Justin Beckwith beat second place by 11 seconds. Ryan Mooney, Justin Beckwith, Matt Young, and Hugh Pritchard on a practice lap down the juicy New Haven. After the New Haven race, we ran pretty low on water, but I’ve made do through various means. 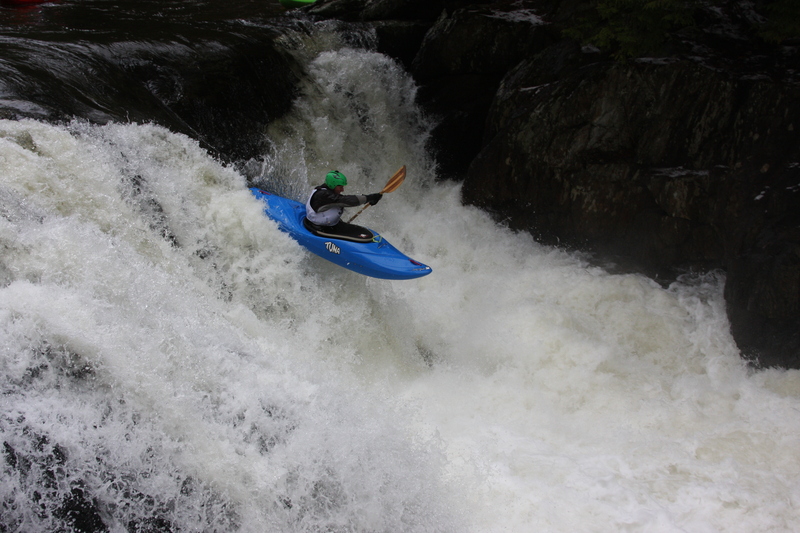 Some local laps on Otter Creek Gorge and Falls (in the town I live in), a few trips up to Canada, one over to NY, one lucky summer-esque rainstorm on the Middlebury Gorge. 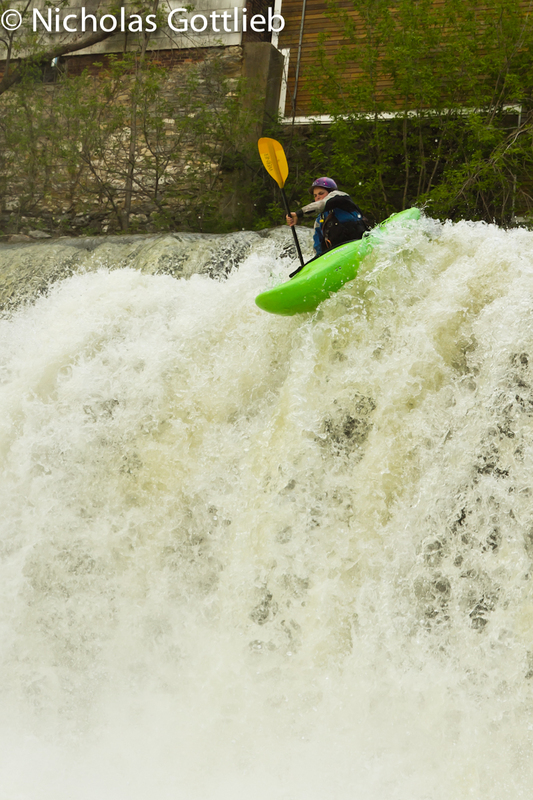 It hasn’t been too bad, and I’m excited for summer — Quebec has a whopper of a snowpack, so between that, the Ottawa, two trips to Idaho, and the tried and true Raquette River, I think I should be able to get some good boating in. 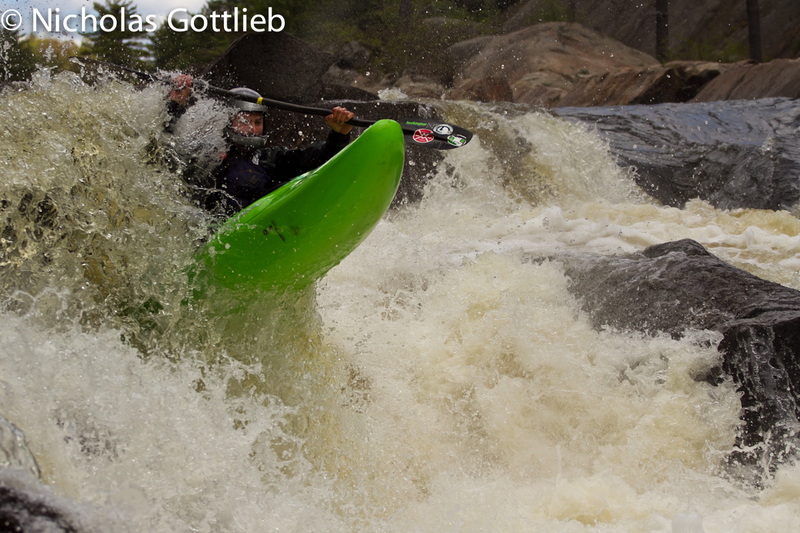 Alex Steinberg hitting the Knife’s Edge glory boof line on the Moose. Me on the same. Photo Steinberg. Doing some playboating in Montreal. Photo Michel Prevost.